“Michael Jackson sang, ‘heal the world make the world a better place for you and for me… and the entire human race’,” Mr Mahama told assembled world leaders in New York. When Ghana’s President John Mahama began speaking at the United Nations General Assembly on Thursday, few would have predicted the King of Pop making an appearance. However, Mr Mahama felt Michael Jackson’s lyrics – taken from 1991 hit Heal the World – were the perfect words to open a speech which touched on a disease, the economy and increasing international tensions. “What happened to that enthusiasm?” he wondered. While unusual, it transpires that Mr Mahama – who proudly told delegates he was born the same year as “one of the greatest artistes that ever lived” – is not the only politician to be inspired by the words of a musician. Among the things former UK Conservative Prime Minister David Cameron will be remembered for is his penchant for The Smiths, which he reminded us of during one of his final appearances in parliament. “As someone about to enter the political graveyard perhaps I could misquote my favourite man and say ‘let’s meet at the cemetery gates’!” he joked – slightly different from the actual lyric, which is “So I meet you at the cemetery gates”. It is not the first time his love of the band has made an appearance in parliament. The Smiths, however, have let the world know they are not a fan of his. “I do forbid him to like it. He shouldn’t like us because we’re not his kind of people,” guitarist Johnny Marr told the Today programme in 2013, echoing similar statements made by lead singer Morrissey. Former UK Labour Prime Minister James Callaghan quoted Waiting at the Church, an old dance hall song, in 1978 to quash speculation of a general election that year. “Remember what happened to Marie Lloyd,” the prime minister told the Trades Union Congress. “She fixed the day and the date, and she told us what happened. As far as I remember it went like this: ‘There was I, waiting at the church.’ Perhaps you recall how it went on. Unfortunately for Callaghan, the song was not only not performed by Marie Lloyd, but he lost the election to Margaret Thatcher in 1979. US Republican presidential candidate Donald Trump is fond of quoting The Snake – a 60s soul song by the late civil rights activist Oscar Brown Jr – when making a point about welcoming refugees to America. The song tells the story of a woman caring for a serpent after taking pity on him, and ends with her getting bitten by his poisonous fangs. The final two lines – the snake’s response to the doomed woman’s last question of “why” – go: “Oh shut up silly woman, said the reptile with a grin. The song’s use has been met with horror – both by people on social media, disgusted with the comparison of refugees to snakes, and by Oscar Brown’s family. In Australia, Labor senator Sam Dastyari quoted American superstar Taylor Swift in parliament as he made a point about the state of his opponents. He read out the lyrics to Swift’s song Blank Space, saying it “really is a modern soliloquy on the Liberal party”. “Saw you there and I thought oh my God, look at that face. You look like my next mistake,” he began. “New money, suit and tie. I can read you like a magazine. Ain’t it funny, rumours fly. And I know you heard about me,” he deadpanned. Outgoing US President Barack Obama did not even need to say the actual lyric in one of his speeches ahead of his 2008 election – the Democrat managed to encapsulate an entire Jay-Z song in just one movement. “When you are running for the presidency, then you got to expect [criticism], and you just kind of got to let it…’ Obama told an adoring crowd, letting the sentence hang in the air before brushing dirt off his shoulder – a nod to Jay-Z’s hit Dirt Off Your Shoulders. But unlike Trump and Cameron, the use was welcomed by the hip hop star.
" 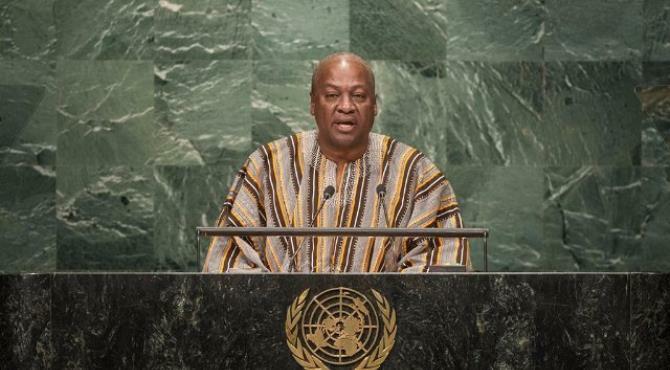 Mr Mahama told assembled world leaders in New York. 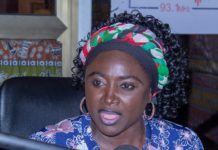 Previous articleMore than 600 aged persons in the Obuasi municipality are to benefit from free National Health Insurance Scheme registration to give them access to quality healthcare. 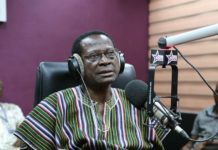 Next articleThe governing National Democratic Congress (NDC) has rejected claims that it is piling up the country’s debt stock with the number of foreign loans it had acquired in recent times.